It is a random looping sequencer that uses a linear feedback shift register (LFSR) as the basis for generating unpredictable CV and gate patterns, and is a direct descendant of the Turing Machine, an open source module designed by Tom Whitwell of Music Thing Modular. The TM itself was inspired by classic random signal generation units such as the Buchla Model 266 (Source of Uncertainty), the Wiard Model 1210 (Noise Ring), and the Triadex Muse (an obscure device invented by artificial intelligence researchers at MIT in the 1970s). 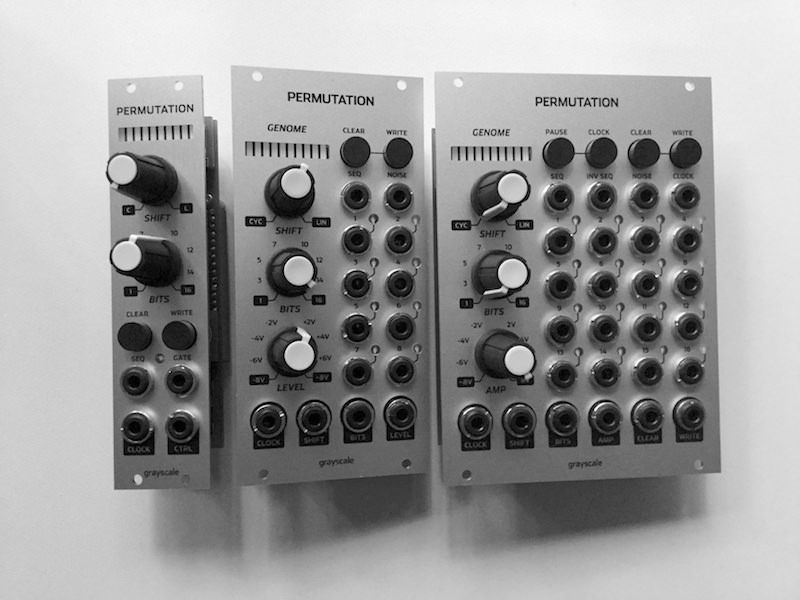 PERMUTATION retains the core functionality of the Turing Machine and its Pulses expander while adding new features in a more compact interface. 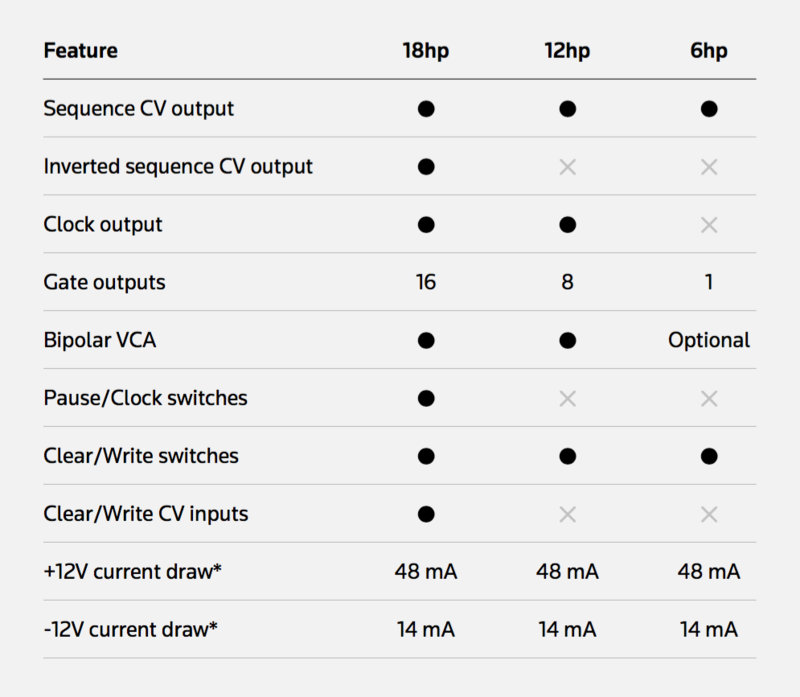 VARIANT, a compact 6hp expander module that provides a secondary means of generating correlated random sequences, is based on the original Voltages expander for the Turing Machine.